Woodspring Golf and Country Club has 27 holes of championship golf, a 3-tire luxurious clubhouse, short game areas and a 25 bay floodlit driving range all of which provide the perfect facility for anybody who loves golf. Within this elegant, tranquil setting of rolling countryside, trees and lakes you will find a venue that provides a perfect environment for business or pleasure and ample parking. Woodspring in conveniently located 4 miles south west of Bristol City Centre and 3 miles north east of Bristol Airporton the A38. Main line railway stations in Bristol provide easy access to London. 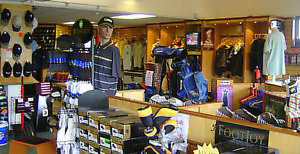 The Woodspring Professional shop is well stocked with all the top names and all at very competitive prices. If there is something in particular that you would like we can order it. PGA Professional for advice and lessons. £35.00 for a one hour lesson. £90.00 for a course of 5 thirty minute lessons. 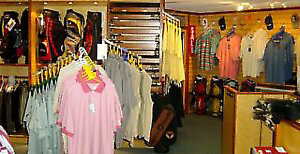 £120.00 for 5 thirty minute lessons plus one hour playing lesson on the course.